There are many hair removal methods, both temporary and permanent, readily available for men and women looking to remove unwanted hair, but only one can claim to remove 100 percent of hair, for a smooth, hair free look that lasts: Electrolysis. Removing unwanted hair once and for all can be both a blessing and a relief, but how are you to know which type of hair removal is best for you? 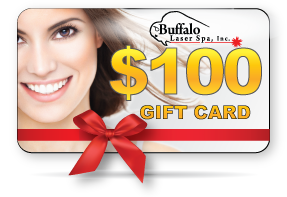 At Cheryl’s Hair Removal and Cellulite Reduction center, a division of Buffalo Laser Spa, Inc., we have the knowledge and expertise to help you choose the best method for your particular needs. At Cheryl’s, we offer two different types of permanent hair reduction: laser hair removal and electrolysis. Each have their benefits and each have their downfalls, but only one can get you permanent results—guaranteed. Electrolysis, like many other hair removal procedures, works to effectively rid your body of unwanted hair, however, the electrolysis treatment differs slightly from all other temporary and permanent reduction techniques. This procedure is the only treatment that can truthfully claim to result in 100 percent permanent hair removal. Using only non-surgical, non-invasive technology, electrolysis removes the hairs by killing them at the root. Other forms of hair removal, including laser hair removal, may be faster and easier, but only electrolysis can result in permanent hair removal results. Hair removal by electrolysis is accomplished by using an ‘Epilator’. The Epilator is a tiny surgical probe that treats each individual hair by being inserted into the hair follicle and directing an impulse of energy down to the root of the hair. The energy impulse causes localized damage to the area surrounding each hair, rendering the follicle inactive. If inserted correctly the probe will not puncture the skin, instead it will slide directly into the follicle. This is a very slow and exact hair removal process, but the time and care taken ensures permanent results. Electrolysis cannot be completed in just one treatment, it’s a continuous weakening process. Each treatment causes the hairs directly treated to ‘die’, but the energy impulse stimulates new hair growth around the previously damaged area. The new hairs will always grow in finer and thinner, so it will be less noticeable. Each additional treatment will treat these new hairs until hair growth is stopped completely. One of the downfalls of electrolysis is the time that patients will invest in the treatment. Because hairs need to be treated individually, treatments can take hours to complete. While small areas like the upper lip may only take 10-15 minutes, a large area like the full legs or full back can take two hours or more. In addition, depending on the area you are having treated, electrolysis treatments can take as many as two to four years to successfully complete. While this time span is longer than any other hair removal option, it is the only one that can be considered 100 percent permanent. So why do patients at Buffalo Laser Spa, Inc. continue to undergo treatments? The answer to that is simple. Unlike laser hair removal, which can only treat certain hair colors, electrolysis can treat patients with any skin tone and any hair color. This makes it the only permanent method of hair removal for those patients that are not proper laser candidates. Want to find out if electrolysis at Cheryl’s Hair Removal and Cellulite Reduction Center is right for you? Contact us today and set up your free and confidential hair removal consultation. We will discuss both electrolysis and laser hair removal and find which method will best benefit your needs. Not sure if permanent hair removal is right for you? Just remember, with a series of regular electrolysis treatments, complete removal of unwanted hair can be a permanent reality.